Pictures of Movies, TV Series, Cartoons, Anime and more. 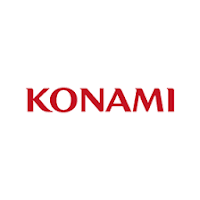 Snapikk.com Gamescom Konami Pro Evolution Soccer Video Game Logo Video Games Yu-Gi-Oh! Zone of the Enders Oh, Konami... You're cute. Gamescom 2018 lineup. Oh, Konami... You're cute. Gamescom 2018 lineup. The concept behind “Winning Eleven 2019” is “Power of Football”. 11 new skills have been added, allowing it to express more performance and behavior. The graphics of players and stadiums has advanced, making the game more real. Online mode myClub has also received an overhaul. “ANUBIS ZONE OF THE ENDERS : Ｍ∀ＲＳ”, launching on September 6th, will also be showcased in 4K and VR. Also, sports compilation title “Hyper Sports R” exclusive to Nintendo Switch™, will be playable to the public for the first time. KONAMI will continue to develop products and services that offer players around the world exciting new games unlike any they have experienced. gamescom is an international games show held annually since 2009. As part of our efforts to strengthen our approach to global release, KONAMI has presented titles at every event to date. gamescom 2018 will be held from Tuesday, August 21st to Saturday, August 25th (local time).